FANBOY PLANET.com . 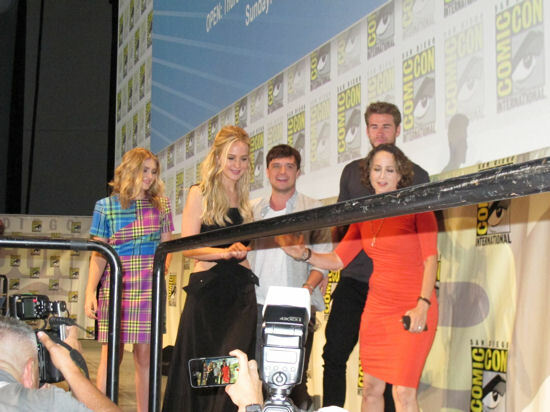 : 2015-comic-con-Hunger-Games :. Forget the circus. San Diego Comic-Con is the Greatest Show on Earth, especially when a studio does its best to truly "present" their film in their presentation panel. We've had such memorable moments as Tom Hiddleston playing Loki and taunting congoers in 2013, or sometimes the studio knows all they have to do is deliver a star, like Bill Murray last week. 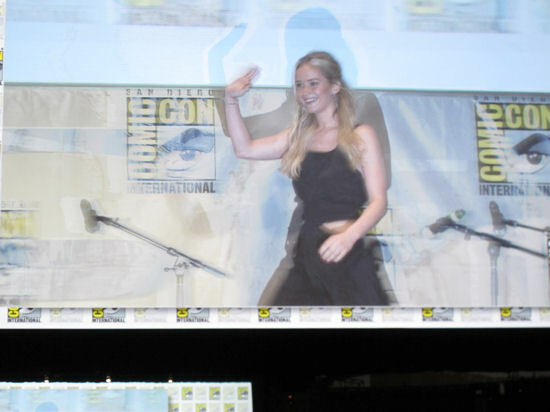 Sometimes, you get a bit of both, as Lionsgate (about to partner with Comic-Con on a web content service) brought everything they could to celebrate the end of The Hunger Games films. Not only did you have star power (in the form of the cast and moderator Conan O'Brien, who believed he was picked because he was good at being underground and in the dark for years), but you also had... drums. A sense of purpose, and a community being mobilized to overthrow President Snow... or at least to get excited about seeing Jennifer Lawrence. Luckily, Ric Bretschneider was there with his camera, and captured some of the energy and excitement. And the drums. 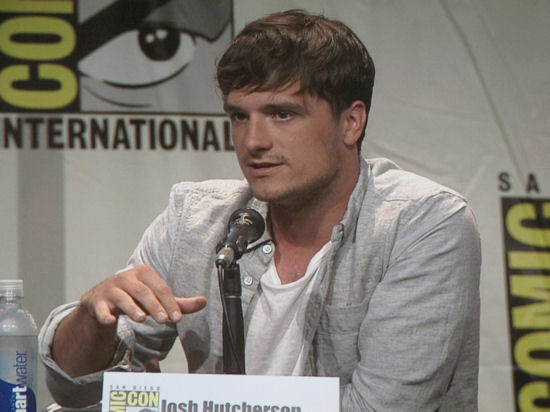 The Hunger Games: Mockingjay Part 2 is currently scheduled to open on November 20, 2015.